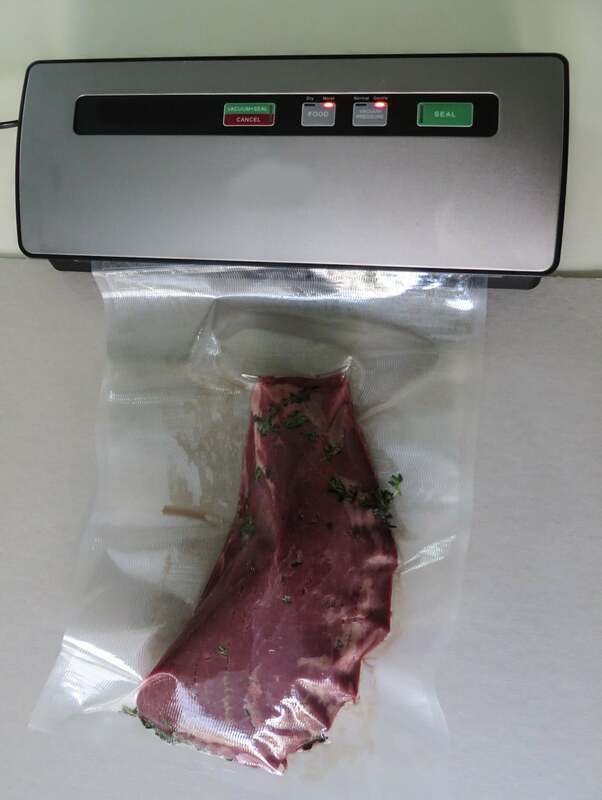 (Last Updated Apr 2019) – Most of you would are probably thinking “Great another hi-tech kitchen gadget for the super sophisticated chefs!” We beg to differ here, a vacuum sealer is not a device reserved for the commercial kitchen. These days, you can easily find vacuum sealers that have all the vacuum packaging needs of a household covered. It’s a great way to package your food items for long durations, travel and storage. While there are several vacuum sealers available on the market, there are not many that can vacuum seal liquids or semi liquid materials.The Vacmaster VP112 Chamber Vacuum Sealer can efficiently vacuum packages of all kinds of food items including liquid and semi liquid materials. 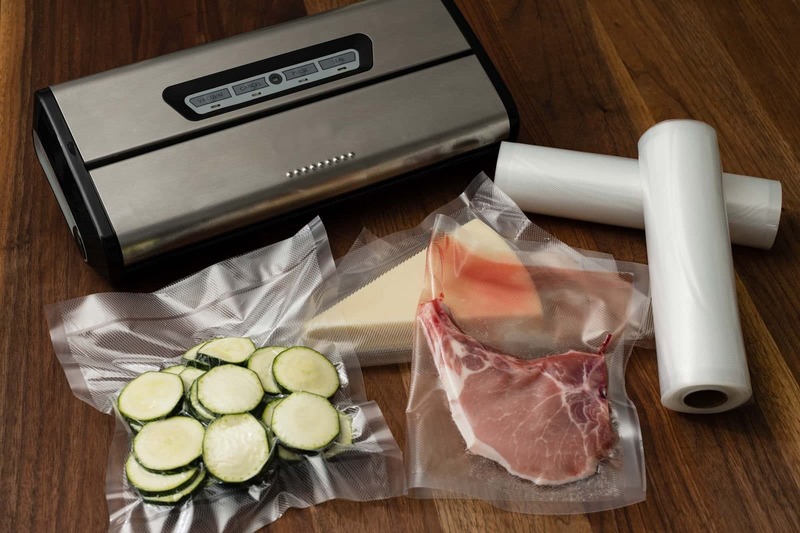 Whether you want to store your soup, stew or curries in the refrigerator, or you are a big fan of Sous vide cooking, this chamber vacuum sealer will package your food in the best possible manner. 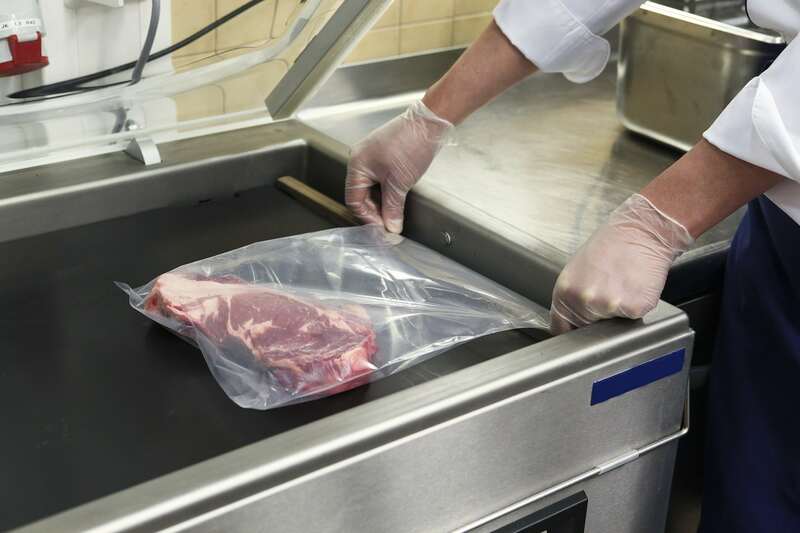 If you have worked with other food vacuum sealers, you probably have come to realise how cumbersome it is to try sealing semi liquids or liquids. The moment you try to pull out the air, the liquid comes gushing out of the packet. Moreover, this sealer is well equipped to handle hot liquids as well, which was unthinkable with any of the existing domestic grade food vacuum sealers available in the market. So, this vacuum food sealer from Vacmaster earns some extra brownie points here. Why do I need a vacuum sealer in my kitchen? As we said earlier, vacuum packaging is not required only in commercial kitchens where food has to be stored in bigger quantities and for longer duration. With vacuum packaging, you can store your food items conveniently, for as long as you want. The best part about vacuum packaging is that even if you are storing fish or any other smelly food in a vacuum sealed pouch, it can sit in your refrigerator for days without causing that characteristic stink. 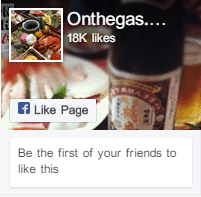 It is great for anyone who likes to buy large quantities of meat at a time, or people who fish or hunt game. You can easily divide up food into quantities that can easily be stored and accesed when needed. You will realise that you are able to store much more stuff in your freezer, because it will take much less space. Even if you are planning to pack some food for a long camping trip or vacation, it is always better to vacuum seal it to keep it from going bad, and to make storage easy. Sounds a little over the top? You have to try it to believe it. All the packaged food stuffs that you get from the supermarket stay fresh only because of vacuum packaging. The same technique is now available for use in your kitchen in the form of vacuum food sealers. How is it different from other sealers available on the market? The technology behind this device is totally different from that of the other sealers that you might have used. In this package sealer, you place the bags in the chamber, and the entire chamber and the package gets vacuumed. The pressure becomes equal both inside and outside the package, which allows even the liquids to stay intact. Also, the amount of vacuum that can be achieved with this package sealer is much higher than any of the regular sealers. This package sealer is extremely countertop friendly; it can grace any kitchen without taking up too much space, or looking like a gawky piece of machinery. It is ergonomically designed for both commercial and domestic kitchens, and is extremely easy to operate. It comes with an LCD panel, and an easy to read pressure indicator. The Vacmaster VP112 chamber vacuum sealer comes with an accessory that allows you to vacuum seal your jars and canisters as well. It can seal up to 6 mil thick vacuum bags. Let’s face it. We are not talking of some product that you can buy, keep in the cabinet and forget. It calls for an investment of a few hundred dollars, so you need to be 100 percent sure of its functionality and quality before taking the plunge. It is advisable that you check out other vacuum sealer reviews online before making a decision. With vacuum food sealers, there are two costs involved, first, the one-time cost of the sealer, and second, the cost of the vacuum sealer bags. So, consider the cost of chamber sealer bags and the sealer itself, and do your calculations. Weigh the price with the benefits too. You will be able to store food for a longer duration, conveniently. You can package liquids and semi liquids with ease. 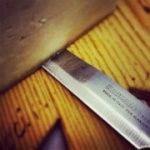 Meat and foodstuffs can be stored and kept in a proper manner to ensure freshness. If you are planning to buy one of these then check out online sources to make a purchase. Amazon has competitive price on the Vacmaster vacuum sealer.